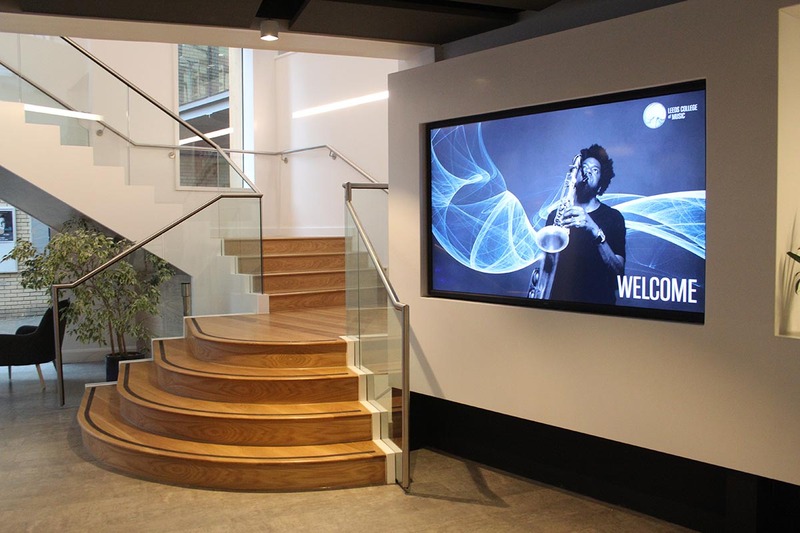 DarntonB3 are delighted that our scheme to create a new frontage and entrance space at Leeds College of Music has been shortlisted for the 2015 RIBA Yorkshire Awards. Located at Quarry Hill, Leeds, our scheme has created an iconic entrance feature by enhancing the main corner of the existing College building. 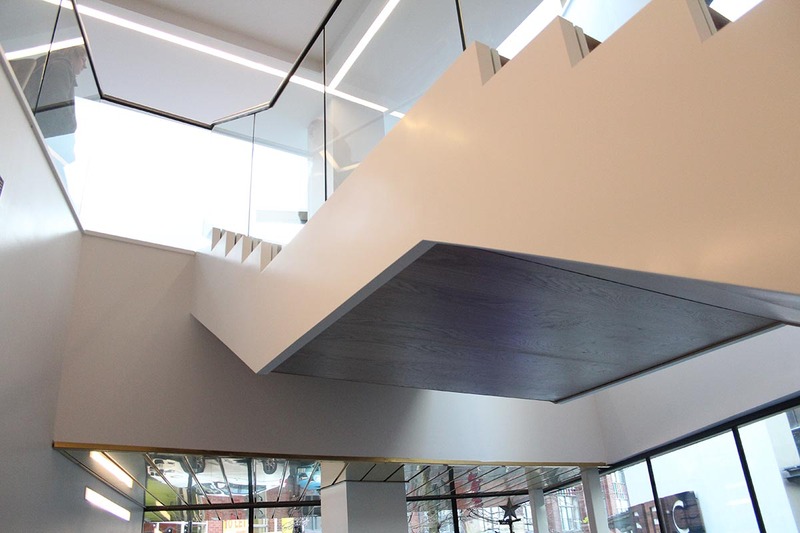 A double height cantilevered ‘rotated cube’ dark grey zinc clad construction is created to increase the size of the internal reception area as well as strengthening the College’s visual identity. The selection of materials and colours proposed are similar those used for the insides of a grand piano. 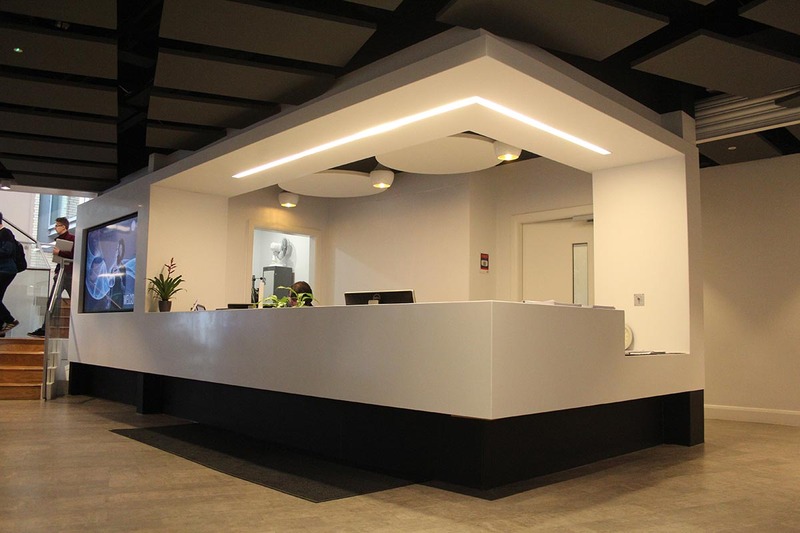 The underside of the zinc entrance box is clad in a natural gold alloy and is illuminated from beneath by floor mounted spot lights to create an soft welcoming glow. 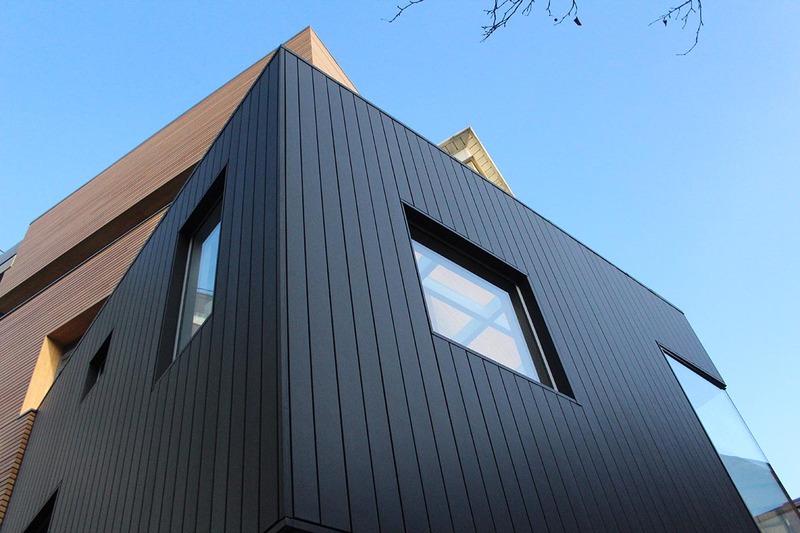 Timber cladding runs the full height of the building frames and contrasts with the dark zinc cladding and helps to marry the old with the new elements. The winner will be announced on Thursday 23rd of April.